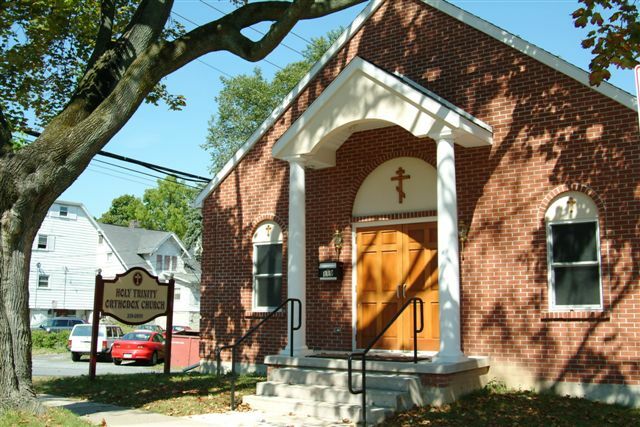 Holy Trinity is conveniently located only three blocks beyond the intersection of West College Avenue and North Atherton Street. Continue west three blocks on West College (PA-26 South). Turn left on South Sparks. The church is on the left. We offer free transportation! Students, parishioners, visitors, and all others requesting transportation should call/text Mka. Jennifer Cadman, Rides Coordinator, at (814) 359‑9078 indicating the location for pick-up. Map your route to Holy Trinity.